For in-store inquiries, use sku #2297154. 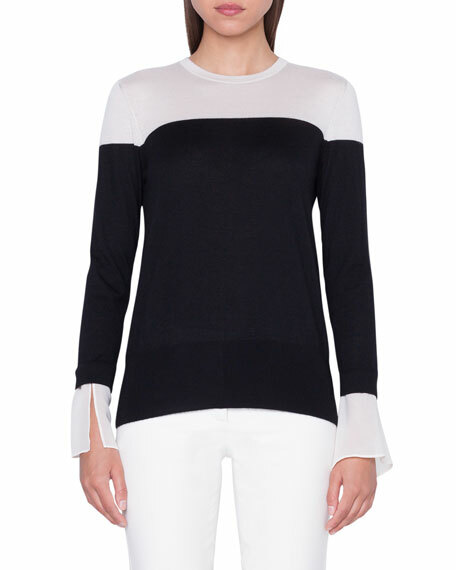 Akris sweater top in fine-gauge bicolor knit, featuring detachable silk cuffs. Crew neckline. Long sleeves. Pullover style. Cashmere/silk. Imported. 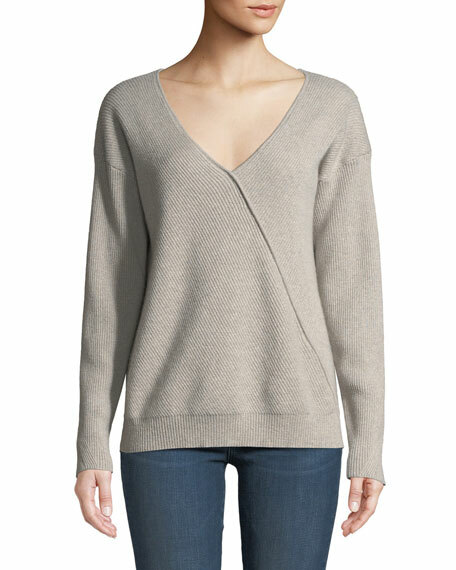 J Brand "Loran" reversible sweater in rib-knit cashmere. 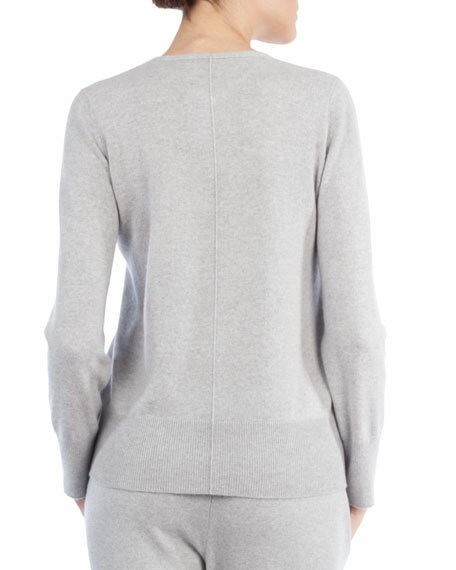 Features diagonal seam detail at front. V neckline. Long sleeves. Relaxed fit. Pullover style. Imported. 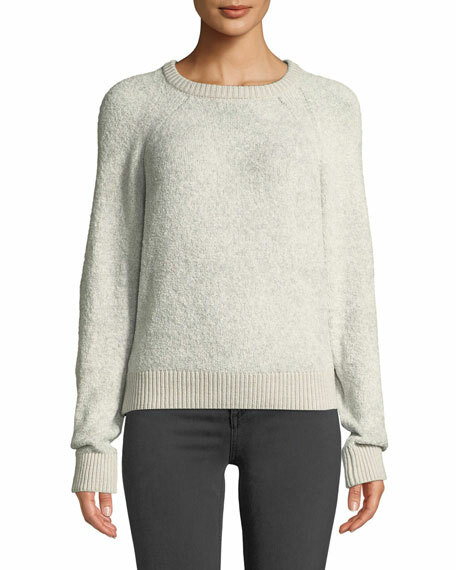 rag & bone/JEAN "Valerie" sweater. Ribbed neck, cuffs, and hem. Crew neckline. Long sleeves. Relaxed fit. Pullover style. Cotton/nylon; merino wool trim. Imported. 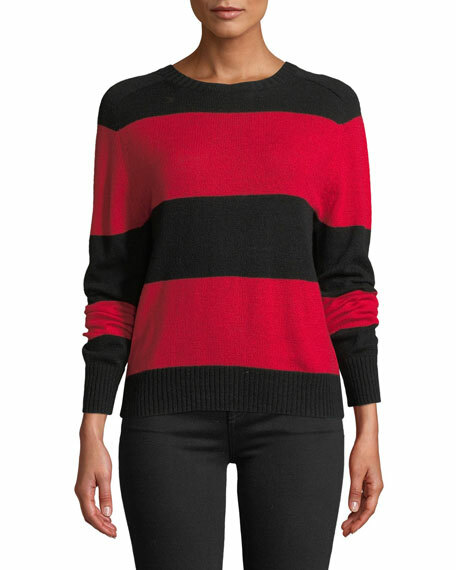 RE/DONE striped sweater. Ribbed neck, cuffs, and hem. Crew neckline. Long sleeves. Relaxed fit. Pullover style. Wool/cashmere. Imported. Model's measurements: Height 5'10"/177cm, bust 33"/84cm, waist 25.6"/65.2cm, hips 35.8"/91cm, dress size US 2-4/FR 34-36.